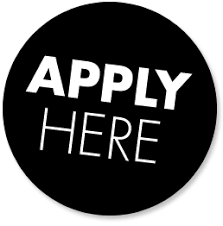 Application deadline is April 30, 2019! 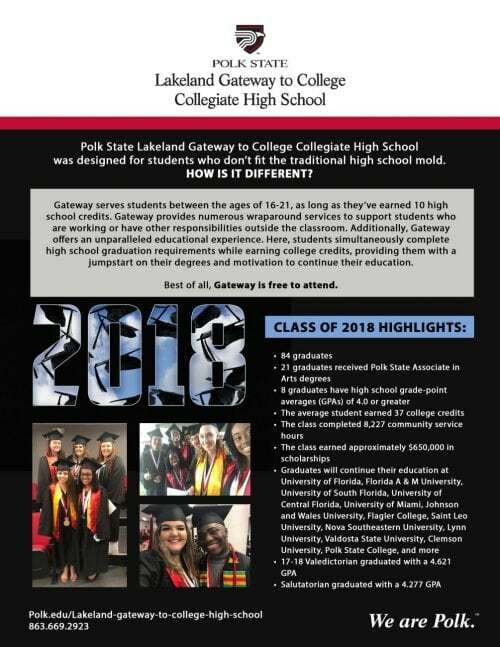 Polk State Lakeland Gateway to College Collegiate High School is an exciting new opportunity for area students, typically between the ages of 16 and 21, who have earned 45% of the credits required for high school graduation. 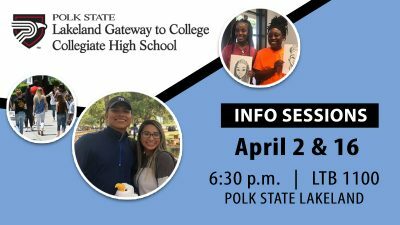 All courses are taught on the Polk State Lakeland campus and offered during morning and afternoon hours, to provide students with maximum flexibility and opportunity for success. 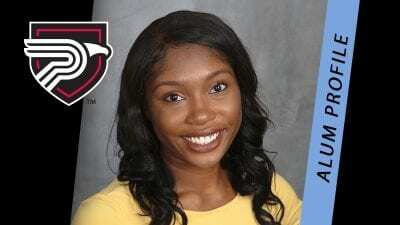 The school is funded in part through a grant from the Gateway to College National Network.